Do Microwaves Still Have a Place in Our Kitchens? Or are they becoming obsolete? 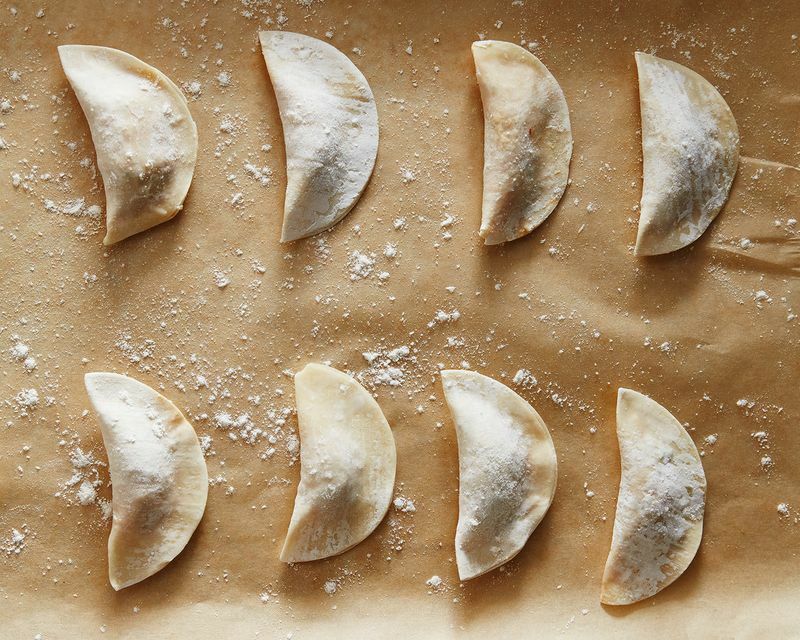 Might you be tempted to microwave these frozen dumplings? The other night, I fell asleep before I had a chance to eat dinner and awoke at midnight with a strong need to fill my stomach's empty void. The options: frozen ratatouille, leftover Indian food, salted peanuts, wasabi peas, or cereal and milk. I chose the leftover Indian food, which I ate cold, straight from the refrigerator. To paraphrase the wise Peter Miller on a recent Food52 podcast: Never buy a microwave. Just tell the world you need one and one will find its way to you. And because I haven't come into a microwave yet, my best 12 A.M. option, lest I risk turning on the stove and waking the roommates or causing a stupor-induced fire, was cold (and a bit congealed) food. When Kristen suggested the world put eggplant in the microwave, she risked her life (and her job). I had a microwave at the last apartment I lived in because the people I was subletting from did; I had a microwave in my college dorm because my roommate did. And over all those years, I probably used the microwave twice: Once in college to melt chocolate for truffles; once after college to defrost some vegetable stock. Even though I've never been a frequent microwaver, there are times—like when I'm eating very cold Indian food in my Paul Frank pajamas—that I wish I had one. Or when it's 8 P.M. and I'm just realizing that all that's edible is frozen. 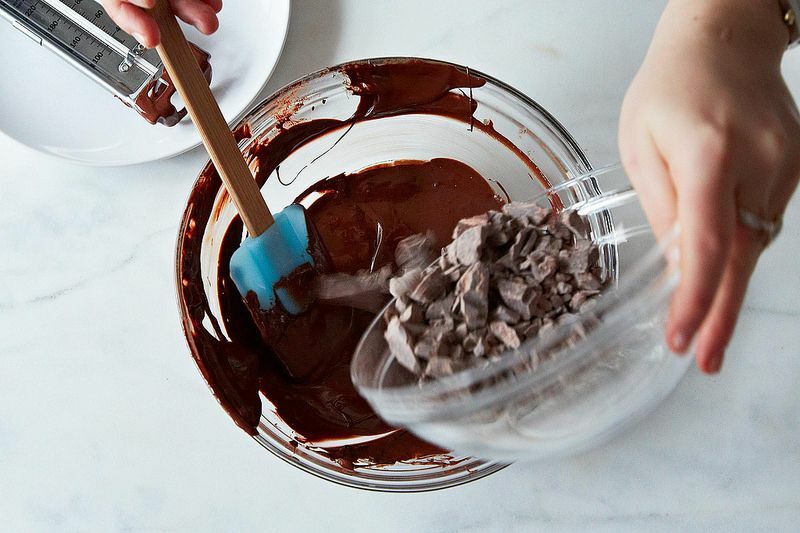 You can use your microwave to temper chocolate. Plus, I'd argue that there are times when the microwave does what other appliances cannot. 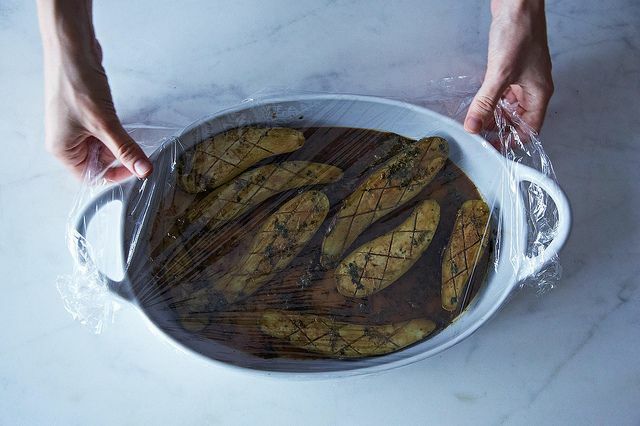 It will heat your leftover lasagna without creating a strange dry crust; it'll steam vegetables almost too quickly, no contraptions necessary; it will gently melt chocolate (even Amanda and Merrill agree). Case in point: The other day, my roommate received a package of slightly stale flourless oatmeal cookies from The Cheese Shop in La Jolla, CA (note: if you have this recipe, please share it). I desperately wanted to zap them in the microwave, as I knew that would make them squishier and more tender. I had thoughts of putting them in the oven, but feared it would make them even drier. So stale cookies we ate. 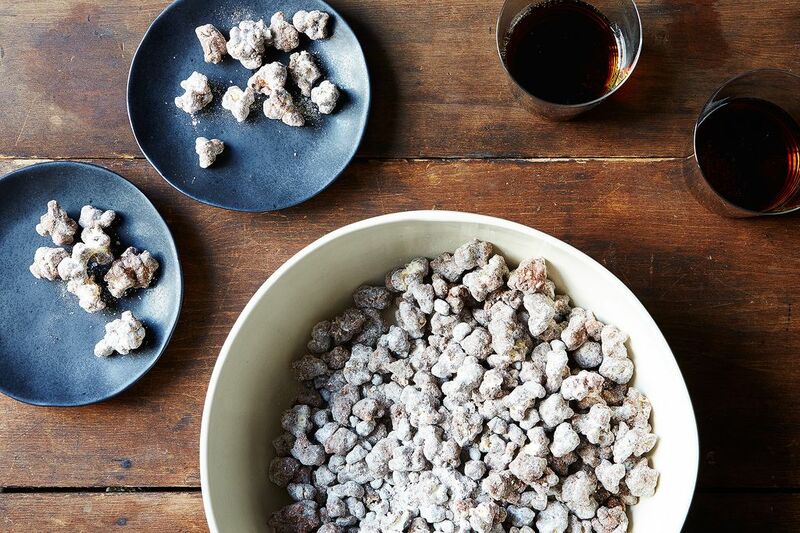 It's easy to make puppy chow when you can melt the chocolate in the microwave. The number of recipes we feature that call for (or even advocate) the use of a microwave is very small. And, for all of the photographs of other appliances on our site, I had trouble finding even one of a microwave. Why this microwave shaming? Is most of the stigma related to health concerns or to the kind of cooking—frozen to table—the microwave represents? Is it worth it to own one just for reheating food? What if your kitchen is shoebox-sized? My question: Is there a time and a place for microwaves, or are we moving away from an appliance that, at least for a time, changed the way we cooked and ate? My new GE microwave has many features, example - a button for potatoes. The potatoes come out perfectly baked, unlike the old ovens. Also does microwaving potatoes to mash - perfectly cooked. Is this some kind of a food snob article? I love my microwave and use it all of the time, as I am certain many, many people do. Living alone, one is always looking for convenience and a microwave fulfills that purpose. I guess I am a bread snob though, and have no need for a bread machine. I use my microwave all the time. I have a very small stove and sink, so saving dishes and burners can help keep the frustration level down. I love reheating a rice dish and turning it into dinner by making a little well and adding a raw egg on top before nuking it.. The egg steam-cooks with the rice, and when I take it out and stir it around, the runny part of the egg makes the rice delicious and saucy. Finally, I also concur with the reader who suggested Kafka's Microwave Gourmet. With a little fiddling, I've been able to adapt the recipes for my 1100W microwave, and veggies have never been easier. I could live without my microwave, but that could be said for lots of modern technology that makes my life so much easier. I could live without it, but my husband works odd hours and is starving when he gets home, and by that hour lacks the patience to do an oven reheat. The issue is more that microwaves are good for reheating, but not cooking. It does weird things to textures. Weird, unexpected things. If a microwave were the size of a wooden spoon and had a similar price tag, I'd probably have one. But it does not earn its place in my kitchen. I could not live without my convection toaster-oven, though. For leftovers I use oval porcelain gratin dishes in the toaster oven, arranging a meal in each one, like a nicely plated frozen dinner ; leftovers are hot in 15-20 minutes. We often eat from the gratin dishes, so no extra pots and pans needed for re-heating. Soup goes into the toaster oven in its own bowl or in a mug. I couldn't do that with a microwave, since many of my dishes have a gold band. I love the thought exercise: "Imagine if TK appliance were the size of a wooden spoon and with a similar price tag..." I would like a wooden spoon-sized, wooden spoon-priced Vitamix, please! I use my microwave daily. I use it to cook corn on the cob with the husk on, to heat my coffee, and to warm leftovers. I would not have a kitchen without a microwave, as the energy the microwave uses is so much less than my oven uses. And, my kitchen has a designated cabinet for it! The microwave is great for fast corn on the cob. I think it's better than boiled corn on the cob. If I have time, I do prefer it grilled or roasted, but when corn is at its peak in summer, there's so much to do that having a quick meal with fast corn on the cob can't be beat. Leave husks on, microwave for 4 minutes for one ear. Husks and silks come off easily, and ear is very clean. My over the range microwave died 2 years ago and I still haven't replaced it. I found I missed it mostly for the timer, of all things, and the vent over the stove. I DO use a microwave nearly every day at work to heat up lunch leftovers, but at home, we have some old Corelle dishes that we make up our dinner plate on and heat, then it's straight from the oven to the table, on a trivet, so no extra dishes. Takes a few extra minutes but we just became accustomed to it and it doesn't bother us anymore. I wouldn't have a microwave if I had to relinquish any counter space for it. Mine have always hung on the wall. I think in the last year, I have used a microwave 3 or 4 times. We have a small kitchen and I just do not see the need for one. I recently just bought a bamboo steamer, and was surprised how quick and evenly it defrosted a dinner roll. Completely agree! I've found a bamboo steamer can help in nearly all I-wish-I-had-a-microwave scenarios. I cook. I use the microwave to steam vegetables and cook popcorn. When I make large batches of soups and stews, we reheat individual servings in the the microwave. The same goes for large casseroles. I also use it to soften cream cheese and to melt chocolate and butter. I could live without one if I needed to, but I would miss it. My partner uses it to reheat exclusively. He would miss it a lot more than me. The stove an oven freak him out (I am trying to get him to cook more, but he won't do it unless I stand next to him.) He would really miss the microwave. When our last microwave broke, he was anxious until we got a new one because the idea of heat up a portion of soup in a pot instead in the serving bowl in the microwave freaks him out. I forgot to add that it is perfect for old-fashioned oatmeal. I make it in a giant cappuccino bowl (it will bubble up). I use the same proportion of oats to liquid, then I nuke it for one minute. Give it a stir, and nuke it for another 30 seconds. It's as fast as instant, and it tastes better. As a bonus, I control exactly how much sugar goes in. Use it almost every night since I cook on the weekend for the entire week and when I get home I don't want to use a pot or the oven to reheat - takes too long and involves washing pot or plate or etc. I had to buy cans of Pam spray for a reason other then cooking! Well you can break your Mico habit if you have Pam! I went to EBay and bought a few small vintage French cooking dishes, and have never heated anything in my Mico again! It's a really good excuse to buy some new cooking items! I must have the same one! It's huge, really dominates the counter and it works perfectly. A bit of an eyesore at this point, unless you like 1984 style. I'd much rather have the worktop space. At my old apartment I used to keep my microwave on top of the washer because I barely use it and I needed the counter space. Now my laundry is in the basement, I still need the counter space. I barely use the microwave but I still have it. Maybe time to rethink this. I use the microwave at work every day to heat up left overs but at home I hardly ever use it. I don't have a microwave anymore because the extra counter space was more valuable. I miss the microwave for its defrosting powers when I take things out of the deep freeze. That's it though.